The Gospel opens with a significant finding, “the people were in expectation.” It is easy to imagine what they are waiting for: the slaves expected freedom, the poor a new condition of life, the exploited laborer hoped for justice, the sick, healing, the humiliated and raped woman, recovery of dignity. We know rather well how Jesus acted: he did not attack sinners but instead sat down to dinner with them; he has not stayed away from the lepers but touched them instead; he did not condemn the adulteress, but defended her against those who judged and despised her; he has not driven the sinful woman but let her caress and kiss him. Luke does not describe the baptism of Jesus, but speaks of what happened immediately after: the opening of the heavens, the descent of the Spirit and, above all, the voice from heaven. Another detail that appears only in Luke is the call to prayer. Jesus receives the Spirit while praying. The insistence on prayer is one of the characteristics of Luke. It is the first time that he presents Jesus in dialogue with the Father, later he will do it a dozen times more. Jesus does not pray to give us a good example. He needs, like us, to find out what is the will of the Father; he needs to receive his light and strength to carry out at all times what is pleasing to him. 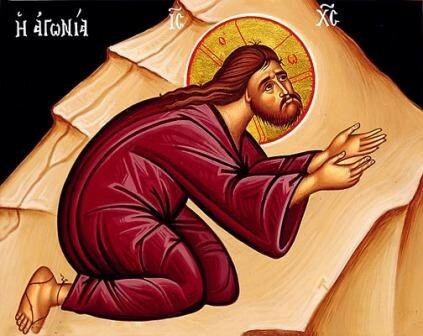 He needs to pray now that he is in the stage in his mission; he will pray before choosing the apostles (Lk 6:12), before his passion (Lk 22:41) and pray, above all, on the cross (Lk 23:34,46) at the time of the most difficult test. To remain faithful to the Father, he needed to pray. Next PostBITE-SIZE THEOLOGY (15) – What does “Supernatural Revelation” mean?